Say goodbye to wintertime, Edmonton, and say hello to Winnertime! 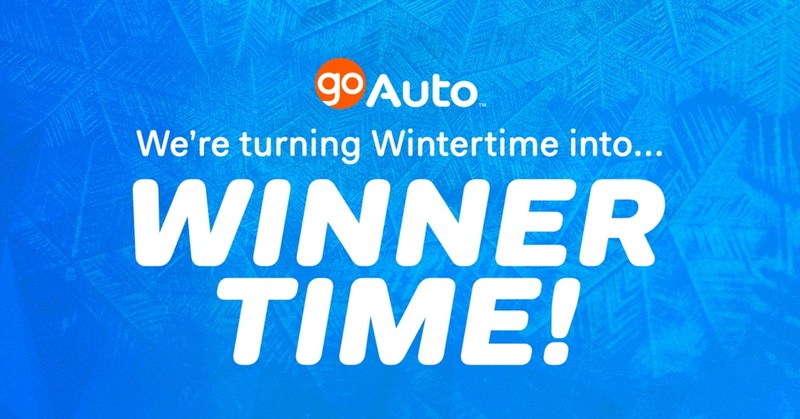 Go Auto wants to warm your pockets with $25,000 in cold hard cash. All you have to do to enter is visit the Winnertime home page. This January and February, we’re making those minus temperatures feel a little more positive. If you want to turn your wintertime into Winnertime–with $25,000 in cash–just click on the banner below! You can be like Kayla Pilling, who won $25,000 during Go Auto’s Upgrade Your Ride contest last May. Or Julie Friesen, who won $25,000 from us during our New Year, New You contest last February. Or Brandon Wood, who won $20,000 from us in 2016 during our Car Loan Payoff promotion! We’ve given hundreds of thousands of dollars away in the last few years, and you could be next! Click the banner below and enter to win $25,000 in February! Well, we do a lot more than give money away to Edmontonians like yourself. We’re actually the largest retailer of new and used vehicles in Western Canada. We have over 11,000 vehicles on GoAuto.ca, from more than 20 new-vehicle brands. Need to compare prices from a few different brands? GoAuto.ca is a great place to do it. We’ve got Ford, Dodge, Ram, Chrysler, Honda, Nissan, Mazda, Hyundai, Volkswagen, Jeep, Kia, and a lot more. We sell everything from $5,000 economy cars to $100,000 luxury vehicles and everything in between, while treating our customers to the best loyalty benefits in the automotive industry. New Year, New You: Go Auto's $25,000 January Giveaway!